Mango Trees are not only a valuable fruiting tree but also an attractive landscaping tree. They require a warm climate to grow successfully and need protection from frosts especially when young. Most cultivars will reach around 10m. Some growers prune in late winter to maintain a smaller tree. Mango trees should not be fertilized after they flower as this simply encourages leaf growth, although some growers like to use a little potash. Good air circulation is important, some thinning of the centre of the tree will encourage this. Mangos do have different flavours, Beverly, Sweetie Come Brush Me and Southern Blush are very sweet and juicy, probably the best tasting, however they are low fruiting so not grown widely. Dwarf varieties are available, however Julie, which is one smaller growing type is not available for sale in Australia at present. In Australia one of the most popular varieties is Kensington Pride which used to known as the ‘Bowen Mango’ and B74 (marketed as Calypso). 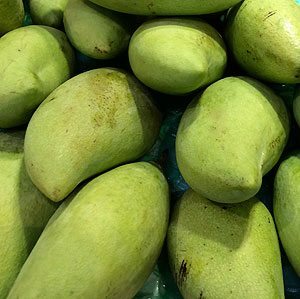 The r2e2 mango is another very popular variety, a mid season mango with flesh that is not fibrous like some varieties. Large fruits and sold as a grafted variety. Available from the following wholesale growers. M & K WHITFELD NURSERY - Mob 0400953313. 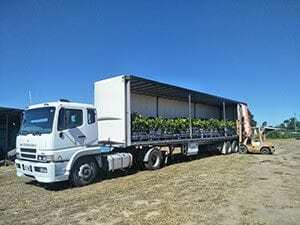 Highly reliable grower. Specialising in R2E2 and KP varieties but can graft any variety onto our rootstock. Small and large quantities available, 20 years industry experience.